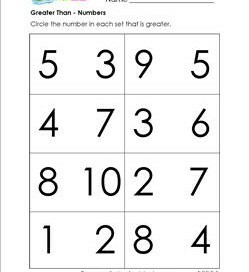 Comparing sets of objects, numbers and objects, or just numbers can be challenging even for the youngest kids. 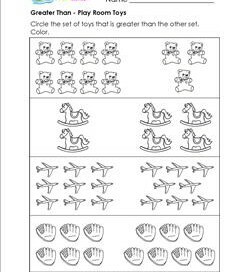 You will find all kinds of comparison worksheets here in great themes to compliment your comparison units. Your kids will enjoy the fun pictures and you will be reinforcing the needed concepts. 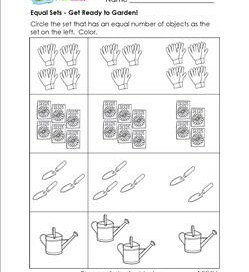 At this time we have comparison worksheets for kindergarten that cover the concepts of equal sets, greater than and less than, and more and less. Check them out and as always please enjoy them! 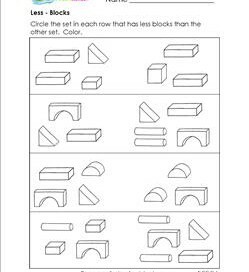 In kindergarten shapes appear everywhere – even here in this equal sets page! 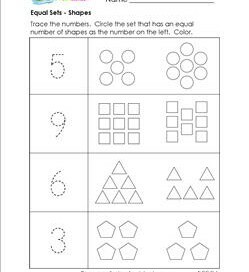 Circle the set that has the equal number of shapes as the number on the left. Color the shapes. Let’s go shopping! 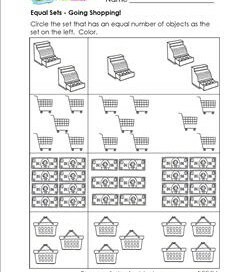 Load your baskets with all kinds of goodies…Circle the equal sets of dollars, carts, baskets, and cash registers as the sets on the left. 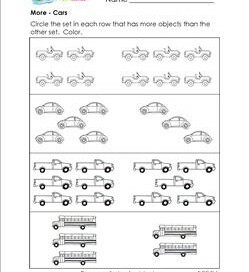 Jump in and take a ride in one of these cars – a jeep, a bug, a truck , or a school bus in this more worksheet. Circle the set that has more than the other set. More – Rain, Rain, Go Away! 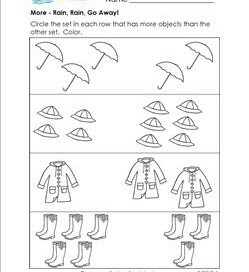 It would be perfect if it was a rainy day for this more worksheet. Don’t sing in the rain, circle the sets of rain gear that has more than the other set! Color. Can you smell that campfire burning? 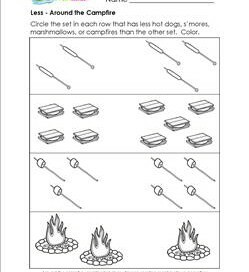 Circle the set in each row that has less marshmallows, hot dogs, s’mores, or campfires than the other set. Color. Nostalgic thoughts of our own rooms full of toys … which were probably never in the toy box! Circle the set of toys that is greater than the other set. Color. 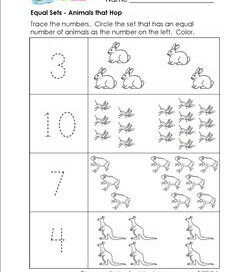 Compare the numbers in each set. 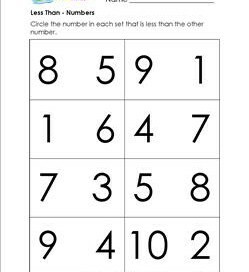 Think about each number carefully. Then circle the number that is less than the other number – the number that comes first when counting! Less Than – For the Dogs! Hooray for dogs! Everyone loves man’s best friend. 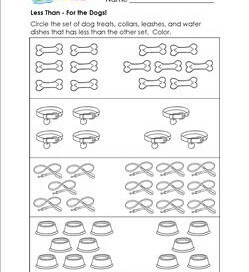 Circle the set of dog treats, collars, leashes, and water dishes that has less than the other set. Color.